The reconfiguration of one half of a town block previously occupied by 18th & 19th Century houses into a symbolic town center. The new urban armature relies on a Town Green and a Town Garden on each side of an octagonal tower that houses the Town Hall Lobby and Council Chamber. 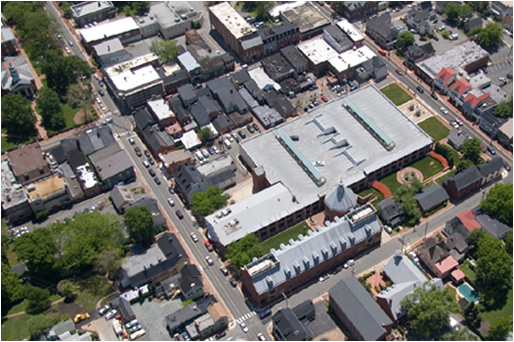 The Town Green and Town Hall create an urban counterpart to the existing County Courthouse enfronting the same street one block away.